Discussion in 'General Knife Discussion' started by arskrg, May 12, 2016. I got one in the mail a couple days ago and am pretty impressed. The bionic never appealed to me, I always thought it had a weird Xenomorph kind of look to it. But I just saw an XL for sale at a price I couldn't pass up, and the color scheme looked great to me, as well. It's nice and light, and sharp as heck. The detent is perfect IMHO, flips almost effortlessly. I haven't had much opportunity to cut with it yet, but the comfortable handle and semi-wharncliffe blade seem like they'll be more than capable when the time comes. The thing is, I've searched and can't find any other thoughts on this knife. Does anyone else own and dig this knife? I had one. Bought it online, sight unseen, because it looked nice and was a great price. Didn't care for it at all upon holding it in my hand. Had it resold and on the way in less than 24 hours. And I love me some Giger (swiss ya know)! The Brous Bionic XL is a well-made 3.5 inch version of the 3-inch Bionic. 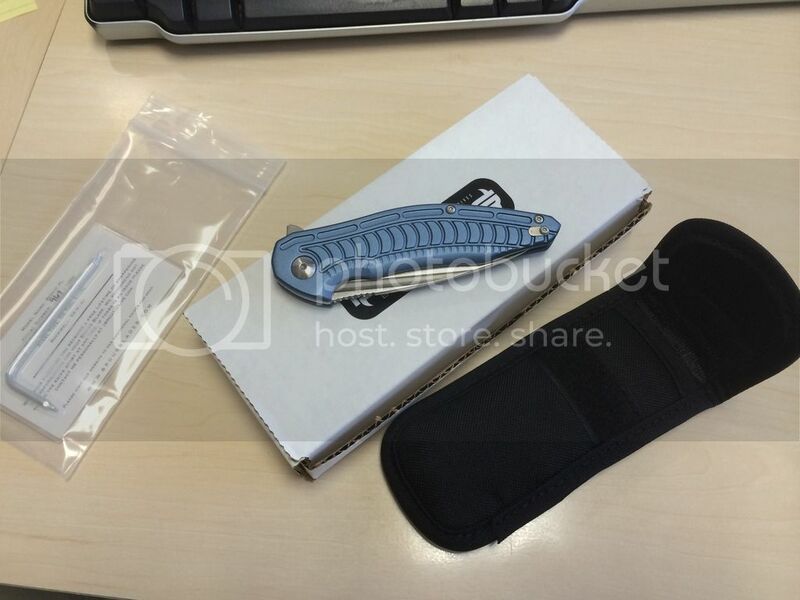 The detent is good and the knife flips open easily. It also slides open manually using the groove in the blade. It's easy and fun to use. First, Jason Brous' original Bionic had issues of fit and finish. He essentially sold it through one of the favorable reviews on YT by Jim Skelton, who never reported the issues until he did a follow-up review of the second version, the Bionic 2.0. That version fixed the issues and remains a current model. But the original, flawed version and its flattering review left a bad taste with many owners of the first Bionic. I did not find Jason easy to deal with on my original Bionic. That said, I admired it well enough to purchase the second version even though Jason had not taken care of me as he had promised on the original. Second is the cost: $200 to $240 for aluminum scales and D2 steel is a lot. Some would say overpriced for a production knife with those materials. I suspect this may why the XL, as nice as it is, may not be a fast-seller for the dealer with the exclusive on sales of the XL. I like and recommend the Brous Bionic XL. But, with its price and materials, it might not be for everybody. nope. none from me, i don't get any of the brous designs at all. And precisely that sort of thing (along with even sillier designs, even worse problems, and even worse actions of Brous), goes back to the Kut Throat Cutlery days mentioned earlier. Its a testament to something (I dont know what! ) that that brand has achieved the popularity that it has. I cant explain it. 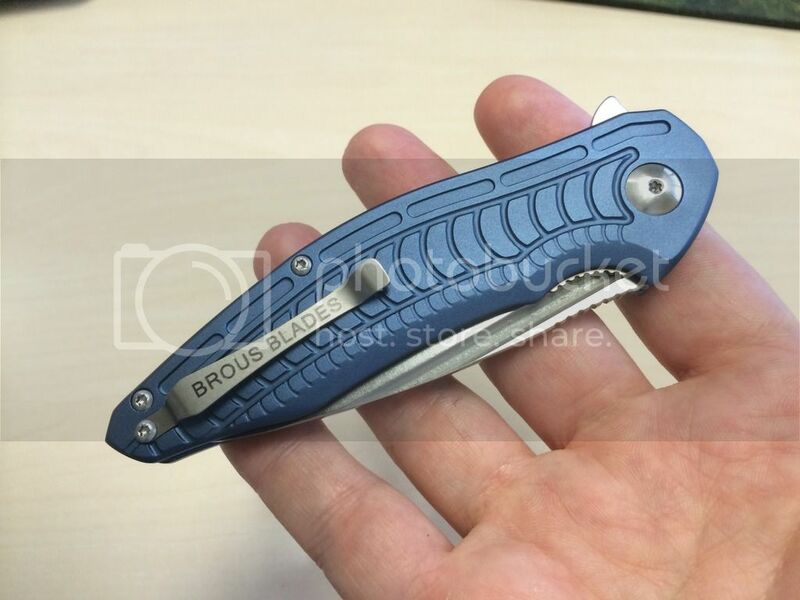 All Brous Blades knives are overpriced or way overpriced. Brous Bionic 2.0 goes for $160-$200 and Bionic XL goes for $200-$240. These are ordinary aluminum handles, liner lock and D2 steel! My original Bionic 1.0 black acid-washed is nice looking but it doesn't flip well and it has sharp corners all over. 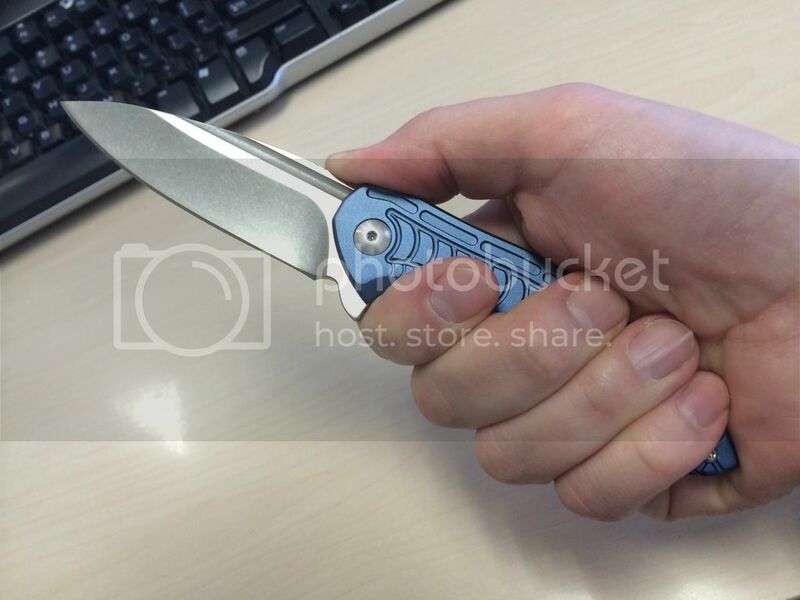 My Bionic 2.0 blue stonewashed for $160 is overpriced it flips well and all corners have been dehorned. I like it but for the same price you can get a ZT 0450 with S35VN and titanium.